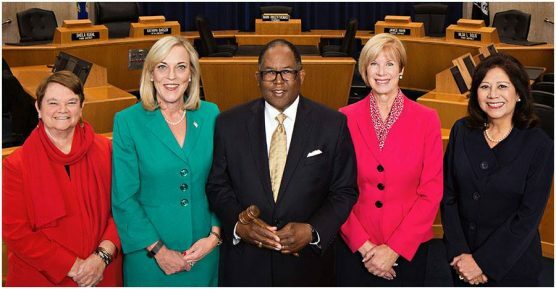 The Board of Supervisors unanimously approved a motion aimed at preventing foster youth from becoming entangled in the juvenile justice system, and ensuring supportive care for those do. Such “dual status” or “crossover” youth, who fall under the jurisdiction of both the dependency and delinquency systems, are a particularly vulnerable population: a 2016 report by Cal State Los Angeles showed that three-quarters of dual status youth had a mental health diagnosis, and one-tenth had attempted suicide. The newly approved motion charges the Office of Child Protection (OCP) with creating a countywide plan for dual status youth – and those at risk of becoming such youth – that is informed by an understanding of their particular needs and the policy changes underway. The motion passed unanimously, with minor amendments and suggestions to ensure disparities among LGBTQ youth are addressed as well as legal relief and record clearing offered to dual status youth. The OCP is uniquely poised to lead this work. It will liaise with the Juvenile Court; convene affected youth and the County departments and community stakeholders serving them; identify funds to enhance services; and build on improvements already underway. Congratulations to Tatiana Vega and Karine Iskandaryan, who were honored as the Department of Public Social Services (DPSS) top volunteers at the Los Angeles County Department of Human Resources Volunteers of the Year Award and Luncheon April 3 at the Dorothy Chandler Pavilion.